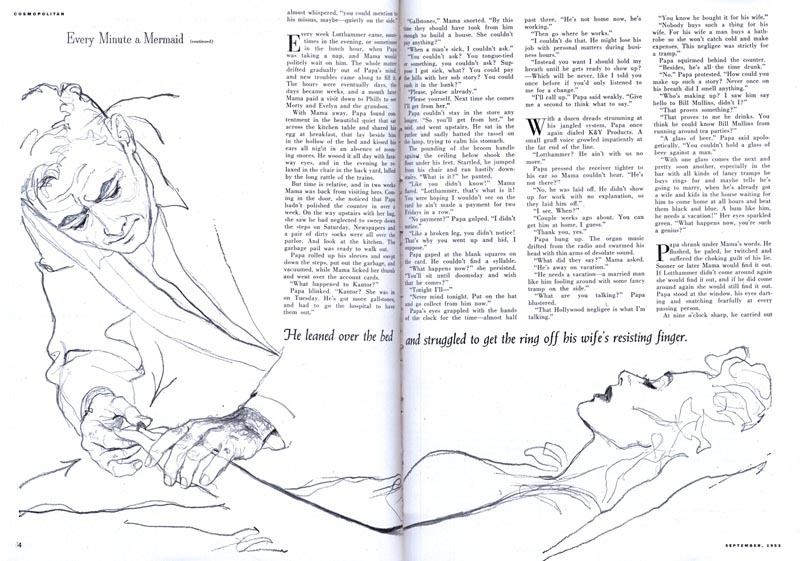 When he was 19 Thornton Utz left Memphis for Chicago to learn the business of illustration. he landed a job at the Stevens-Gross studio on Chicago's near North Side, then jumped to Barry Stephens Studios. If you see a bit of a Gil Elvgren pin-up quality in the piece below, that might be some of Utz's Chicago-style influence showing through. 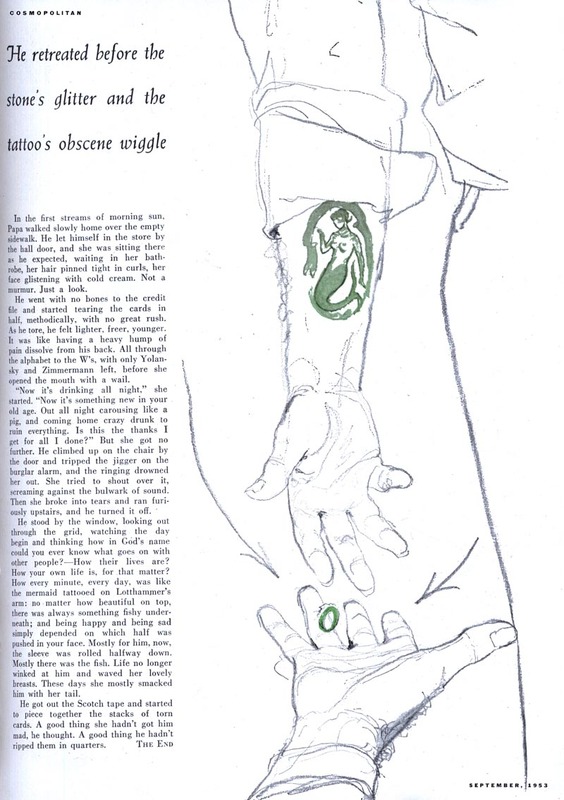 In 1946 Utz moved his young family to Westport Connecticut, home to that famous colony of illustrators which included Al Parker and Austin Briggs. I wonder if exposure to those artists also rubbed off on Utz... there is a kind of Briggs-ish feeling to Utz's sensitive line drawings below, isn't there? In 1951 the Utz family again moved - this time to Sarasota, Florida. You may think, as I did, that such a distance during those days might cause problems communicating with clients (or even just acquiring assignments, since most of the national publications and advertisers were located in New York and Chicago). But Utz had no problems retaining as much work as he could handle. "Living in Florida is no disadvantage," he said. "I'm only four hours from New York or Chicago by plane; and there have been a few times when I've flown up to New York and back in one day to pick up a job or shoot photographs. My paintings are shipped by air express at 9:00 pm and they reach New York by 10:00 am the following day. There are times when clients come to Sarasota where, in a relaxed atmosphere, we can discuss the whole picture problem - and wind up with a swim!" Thank you for the recent posts on Utz. I've really been into his stuff lately and its nice to have a resource like this to view his work. I appreciate it.